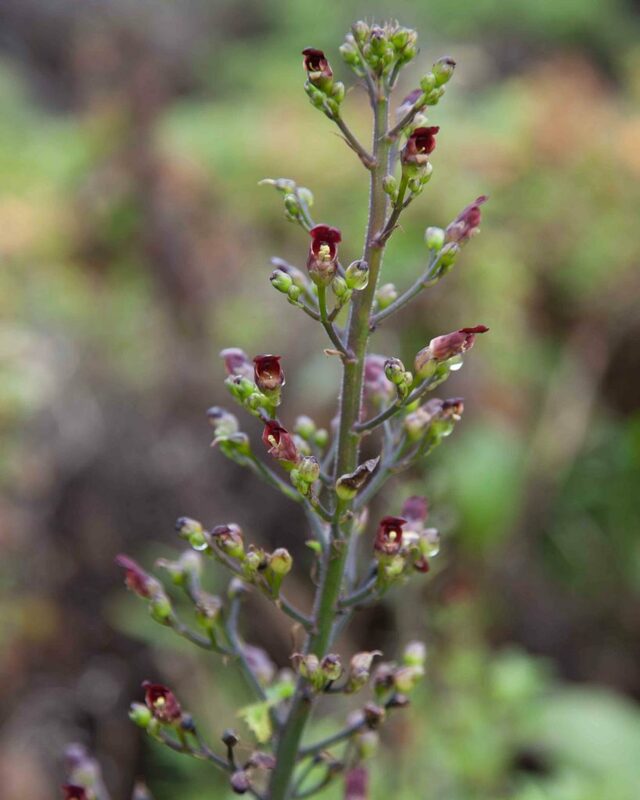 This is one of the few survivors in the formerly much more extensive Figwort family. 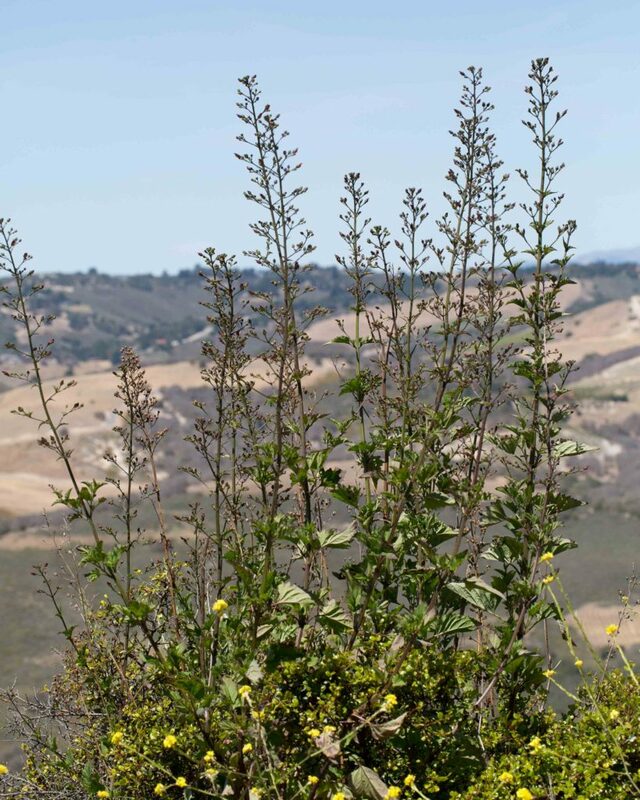 It is very common and easily recognized by its large, coarsely serrated, opposite, nettle-like leaves and its many small, red to maroon flowers. 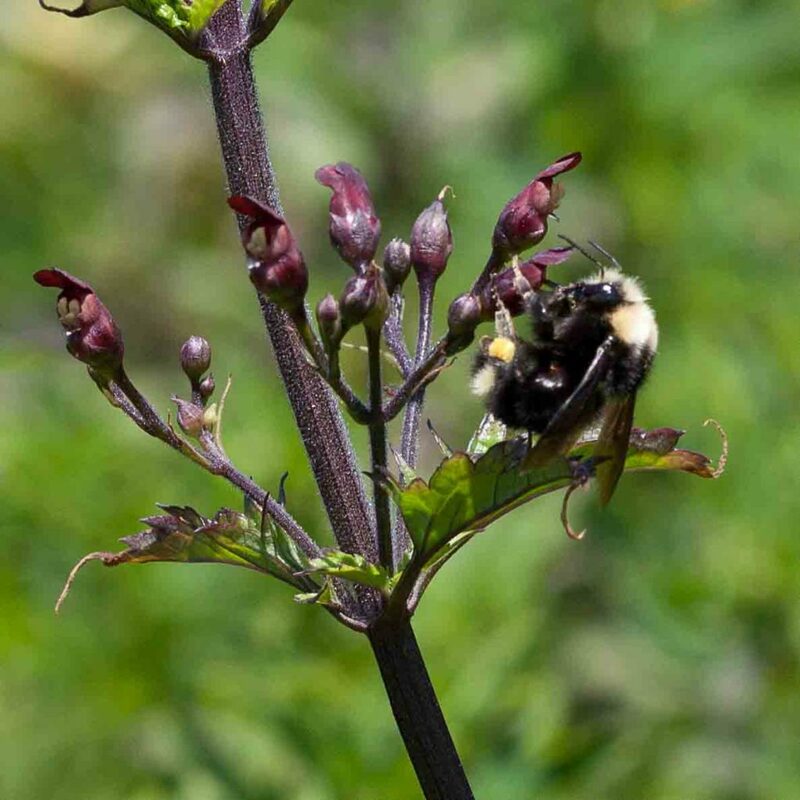 These produce copious amount s of nectar and, as the common name suggests, are attractive to bees. 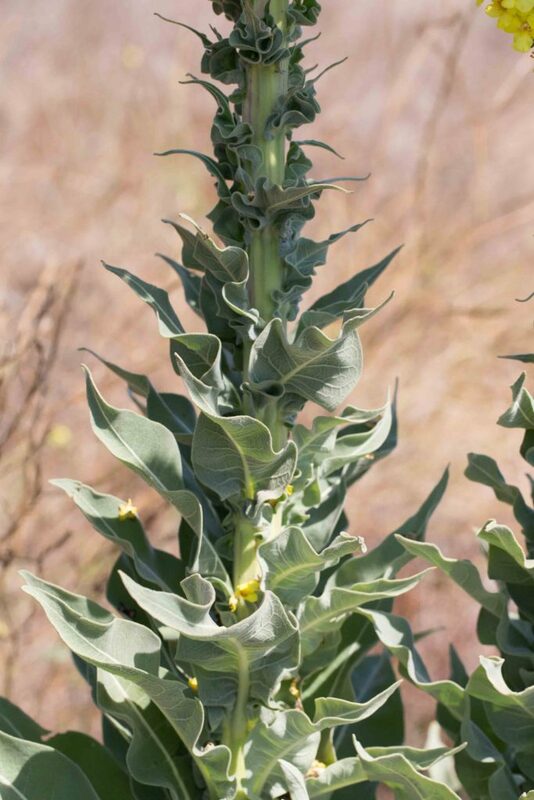 The upper corolla lip is erect and elongated. 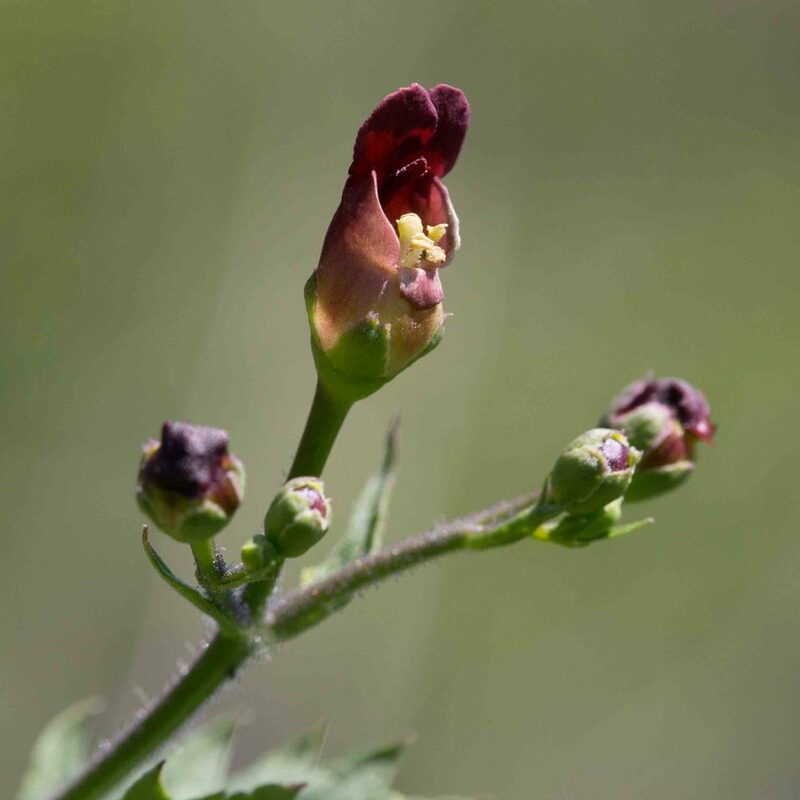 The lower lip has a single lip which extends outward to form the nectar pouch. 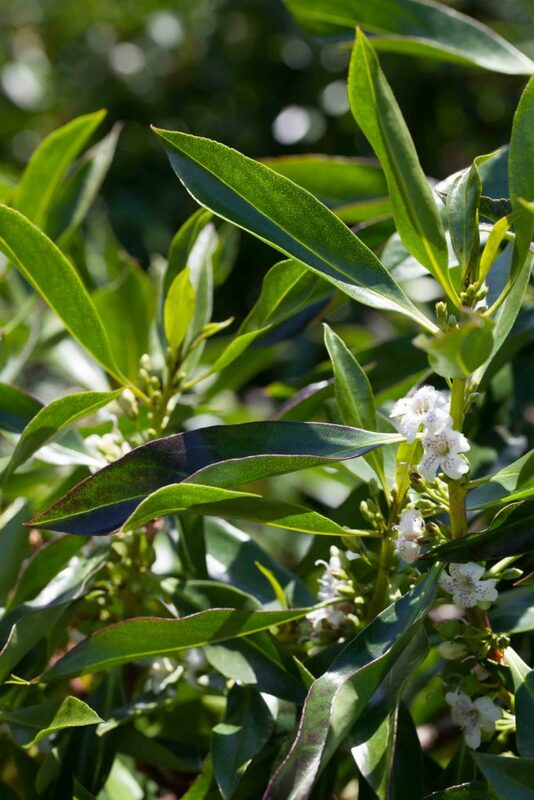 This is a commonly cultivated shrub to small tree, much branched and broadly spreading. 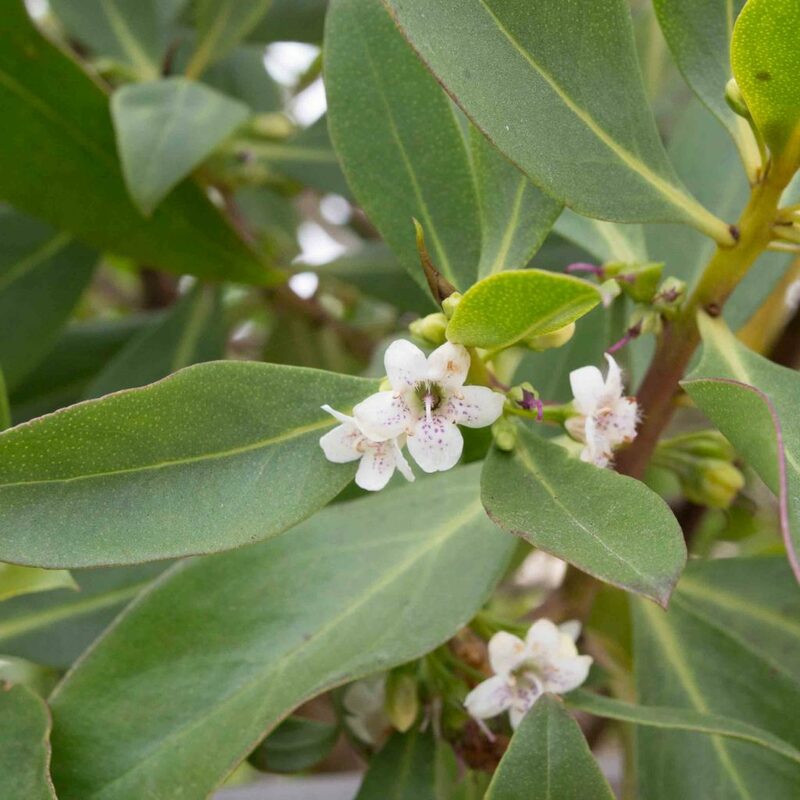 The leaves are lanceolate, bright green and fleshy, up to 10 cm long. 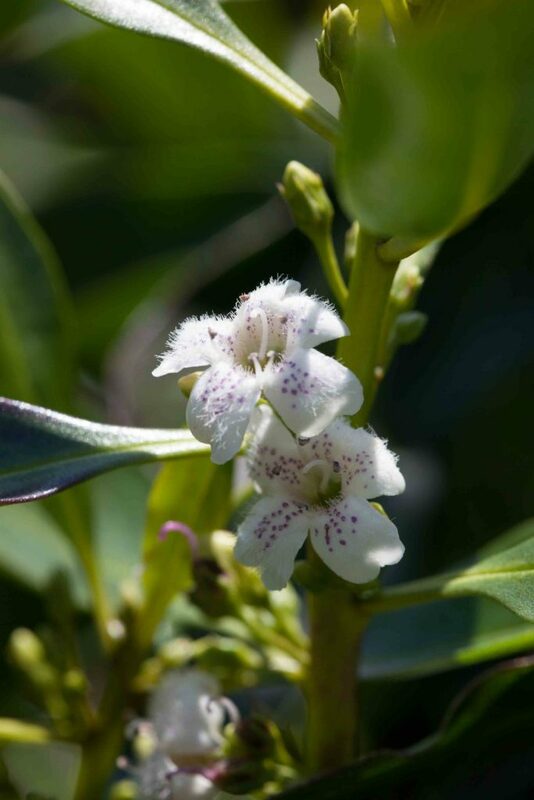 Flowers are about 1 cm across, bell-shaped and white with purplish spots. 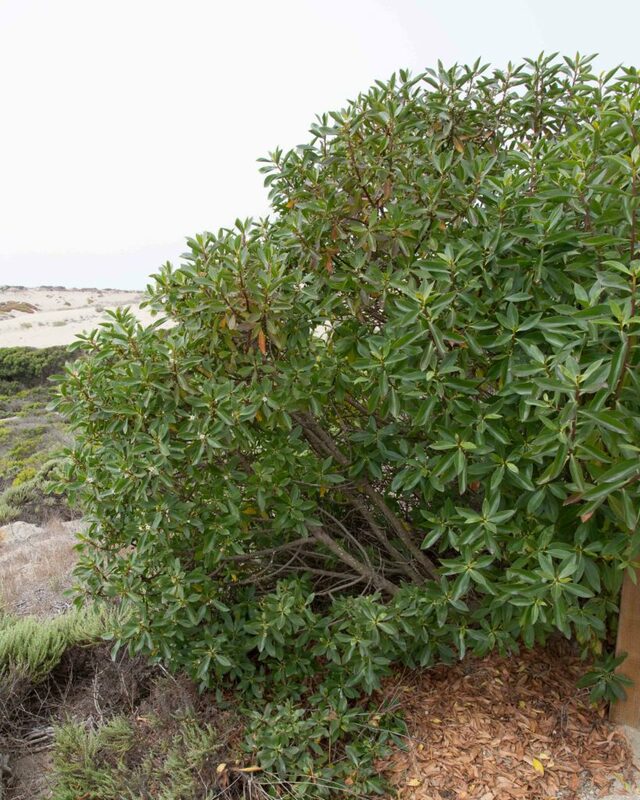 This plant is usually unbranched though branching forms are occasionally found. 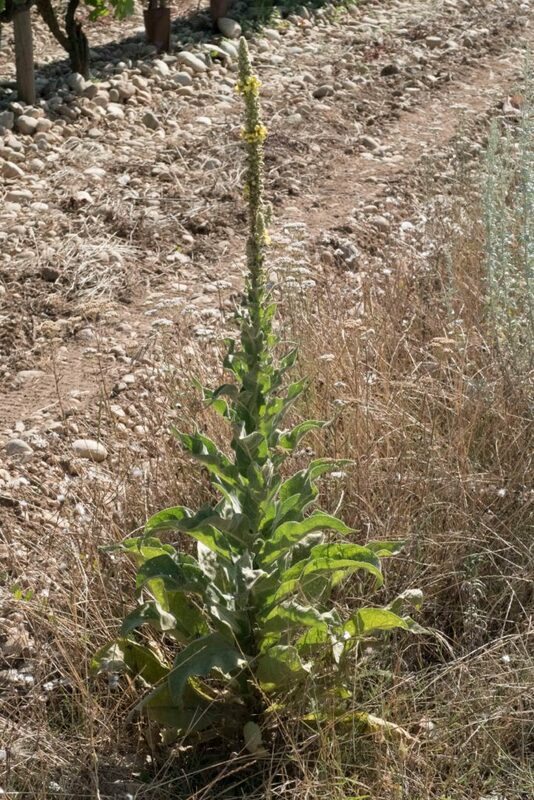 It is tall and distinctive with large leaves (basal to 50 cm, cauline to 30 cm), lanceolate and the cauline leaves long-decurrent. 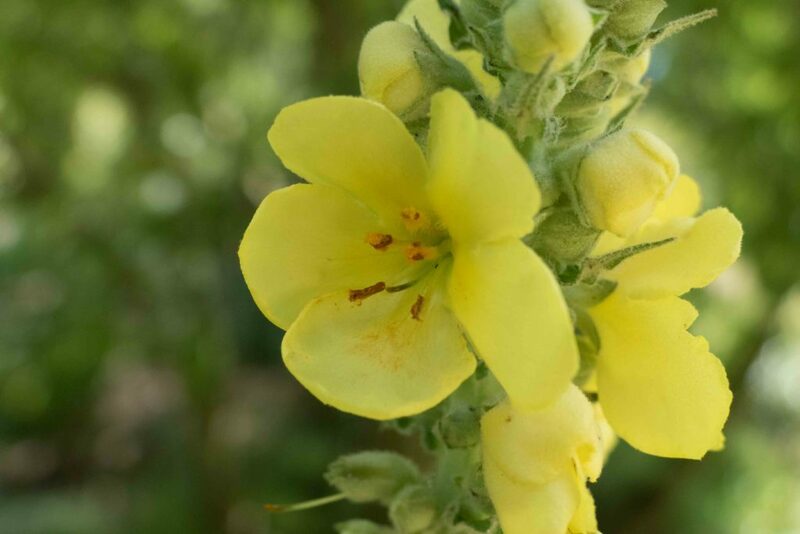 Flowers are in a tall spike, large (15–25 mm wide), bright yellow with the upper three filaments white or yellow-hairy and the lower two filaments glabrous or only sparsely hairy. 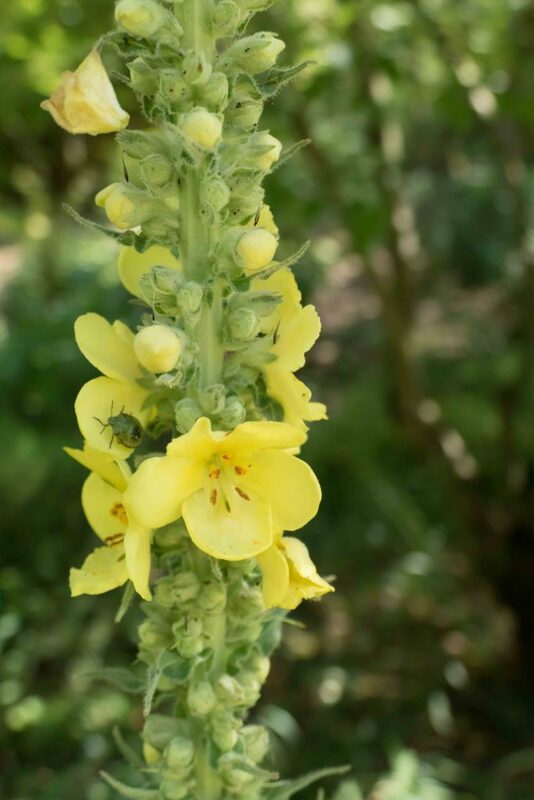 Although not recorded in the county, some branching mulleins may in fact be a separate species, Showy Mullein (Verbascum speciosum) which has a candelabra-like appearance and several other subtle differences when compared to Woolly Mullein.